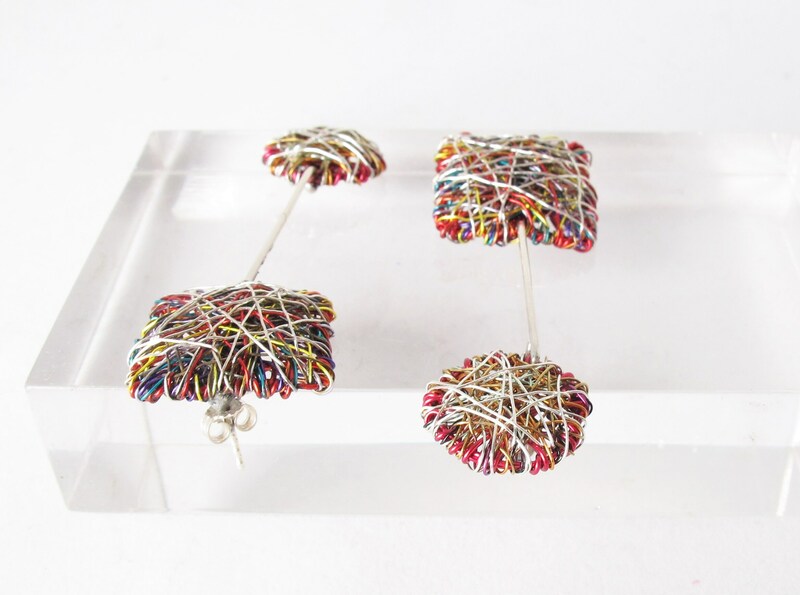 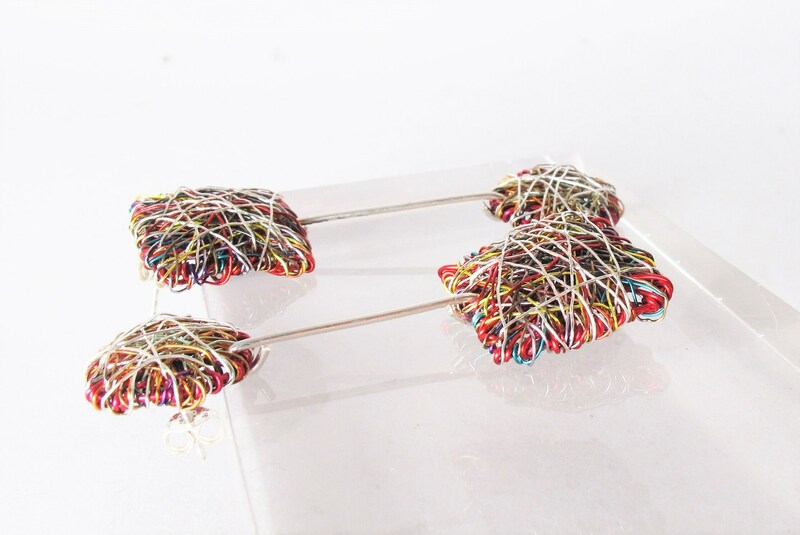 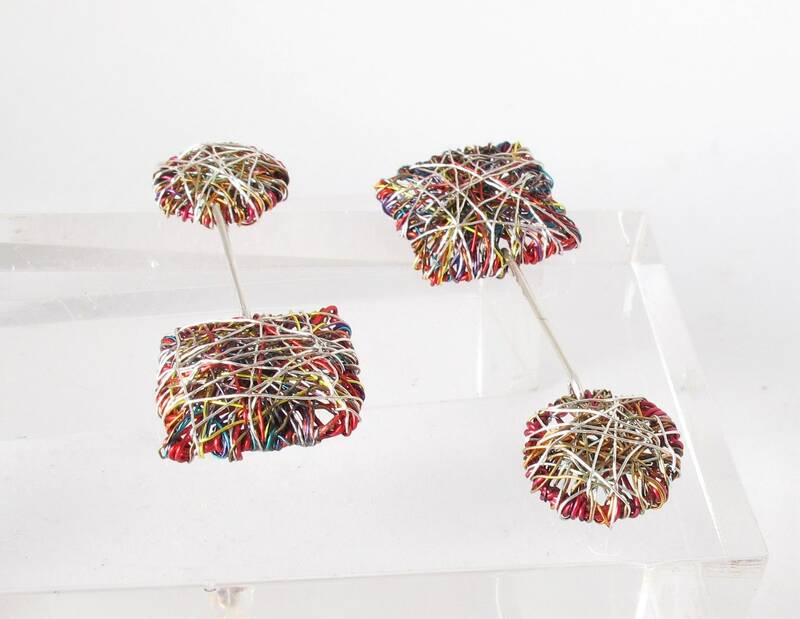 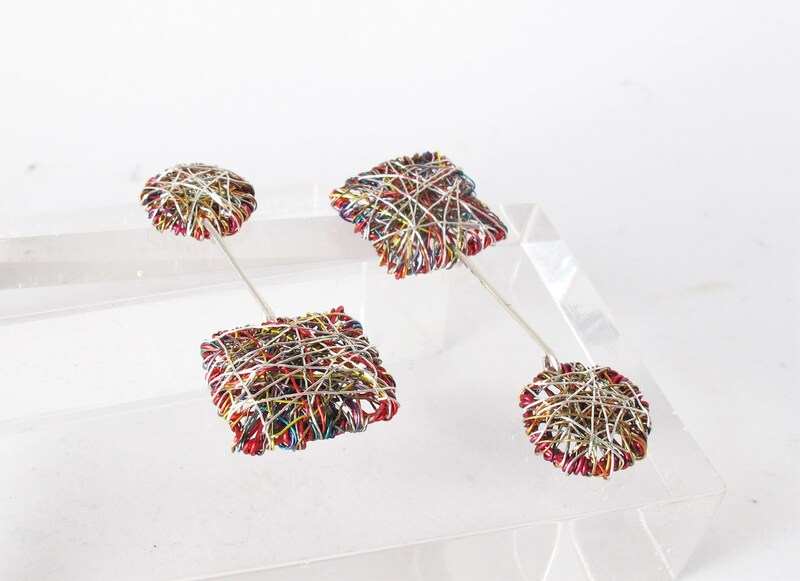 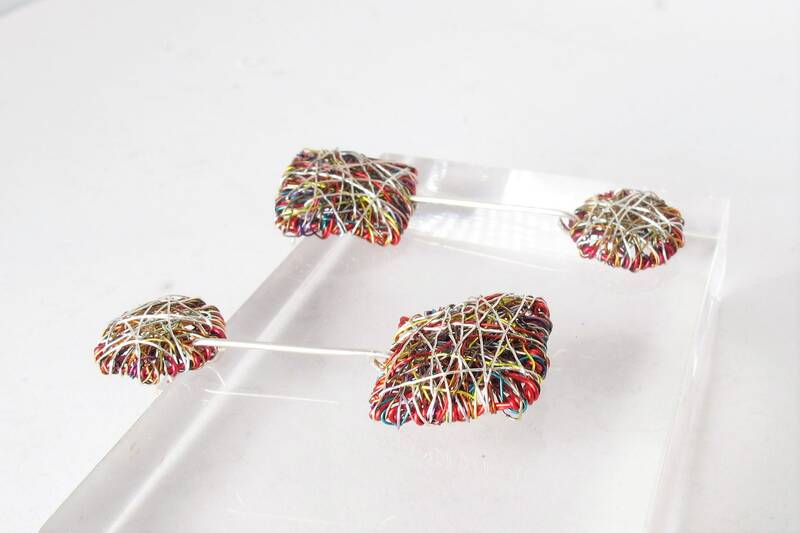 Disc and square, wire sculpture, modern, long dangle art earrings, made of colored copper wire and silver. 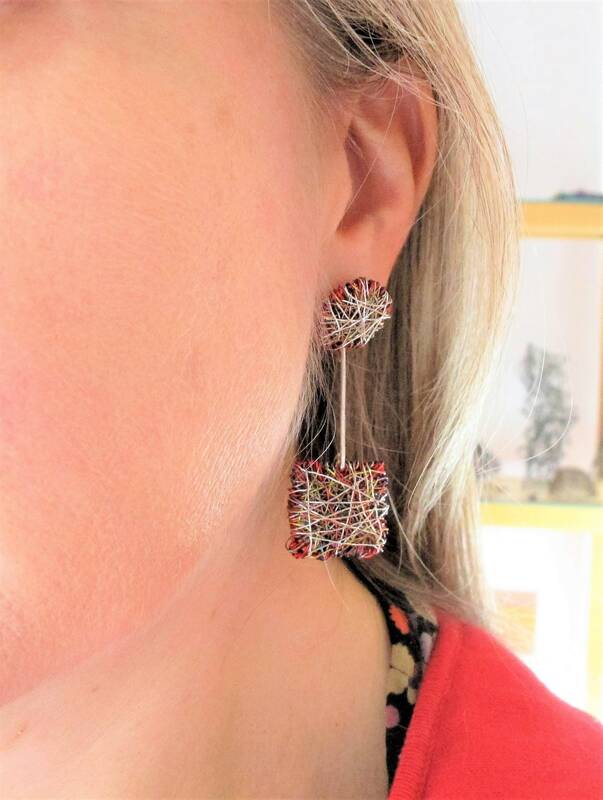 Each square of the geometric earring is 2cm (0.79in) and total height is 6cm (2.36in). 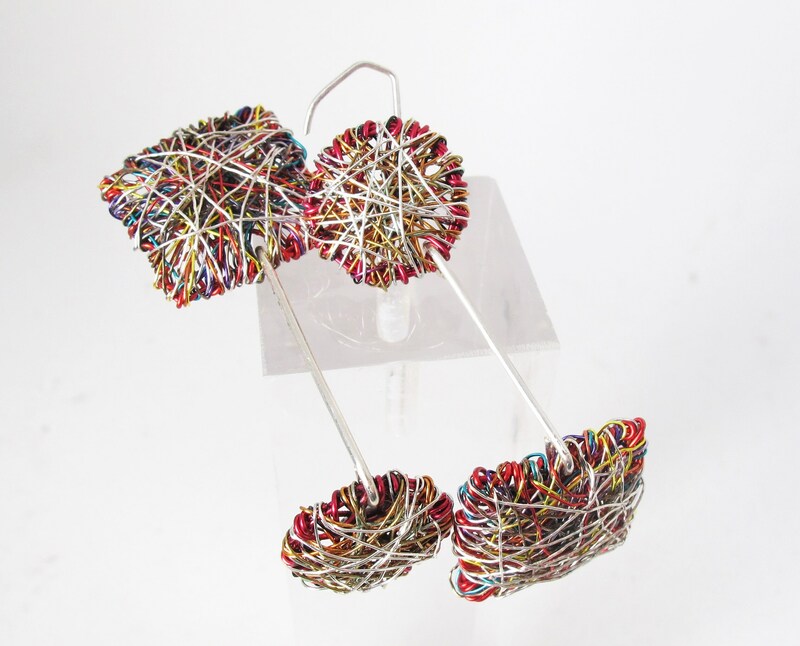 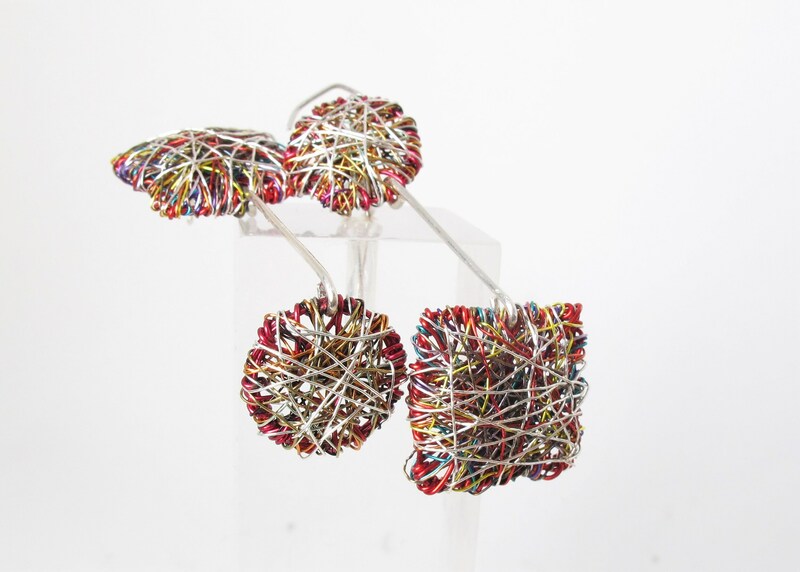 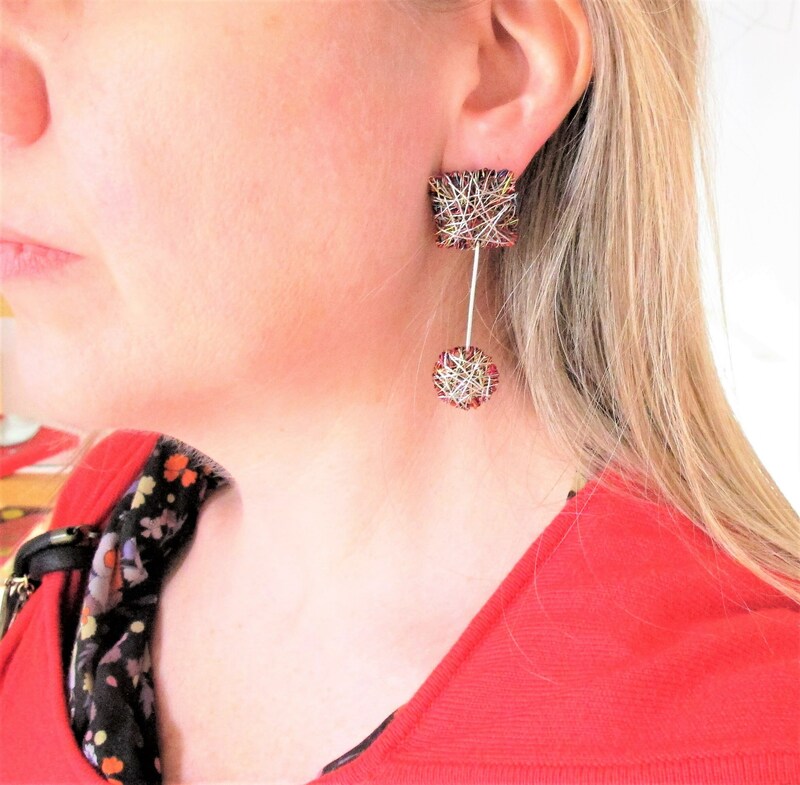 The two shapes of the abstract people earrings, connect with solid silver wire.